John Fitzgerald Kennedy, America's youngest President. But, barely one thousand days into his Presidency, he was assassinated. JFK in an Hour provides a compelling and comprehensive overview of this man credited with introducing an aspirational new approach to American politics. Learn about the Kennedy family, the cast that propelled JFK to success despite family tragedy. Discover Kennedy's talented diplomatic skills when navigating the Space Race, the nuclear missile crisis and his sympathies with the fledging civil rights movement. Learn about the man himself, the charming son, brother and husband, who maintained a charismatic public image, despite suffering from chronic illness all his life. 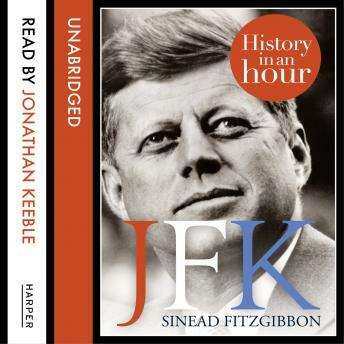 JFK in an Hour provides key insight into why Kennedy epitomised the hopes of a new decade, and remains such an influential figure to this day.